Bob Murphy, who was the voice of Stanford sports for more than four decades, has died. He was 86. 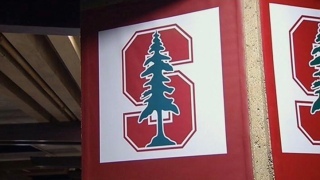 Stanford University says in a statement Murphy died Tuesday in Santa Cruz of complications from Alzheimer's. He had suffered from the disease for several years. Murphy was a color analyst for Stanford football and basketball from 1964-2007 and brought a folksy style that created a sense of community. But it was his encyclopedic knowledge of Stanford athletics and his voice, spirit and wit that made him a university icon. At the beginning of his time at Stanford, Murphy also worked as sports information director. He was also San Jose State's athletic director for three years in the late 1970s. Murphy, who was born at Stanford Hospital, graduated from Stanford in 1953.